Inonotus Oliquues, commonly known as the Birch Conk in the UK, is a parasitic mushroom that attacks birch trees native to northern Europe, Asia and America. Chaga has a long history of medicinal use in Russian and Eastern European medicine and its extracts are gaining increasing attention in modern medicine. Interestingly, these claimed health benefits have only been chaga grown on birch trees. 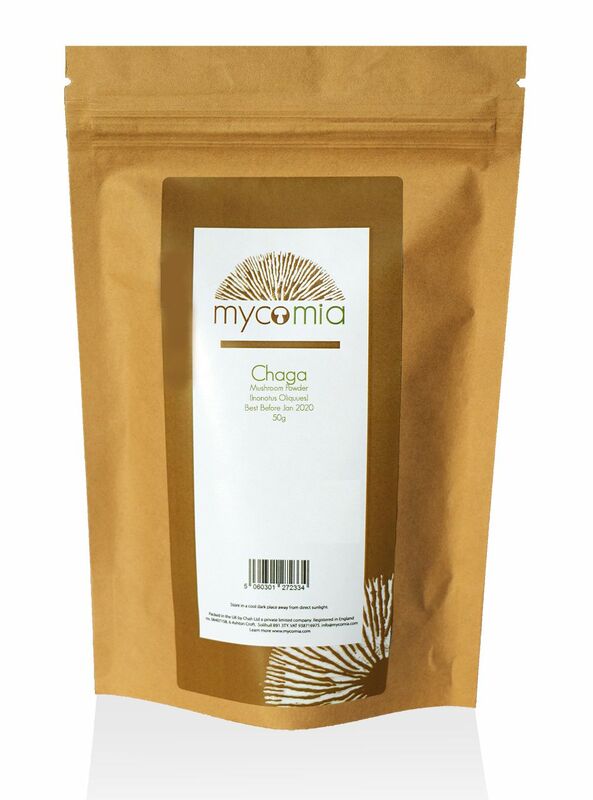 Our organic chaga is grown on birch trees in Russia.